Clan Munro comic strip no. 48: Bon voyage! We are back after a long break. Apologies, but our artiste has been working hard. Somebody around here has to make some money! Anyway … we have perhaps more proof that McTavish is not quite as clever as he’d like to believe. 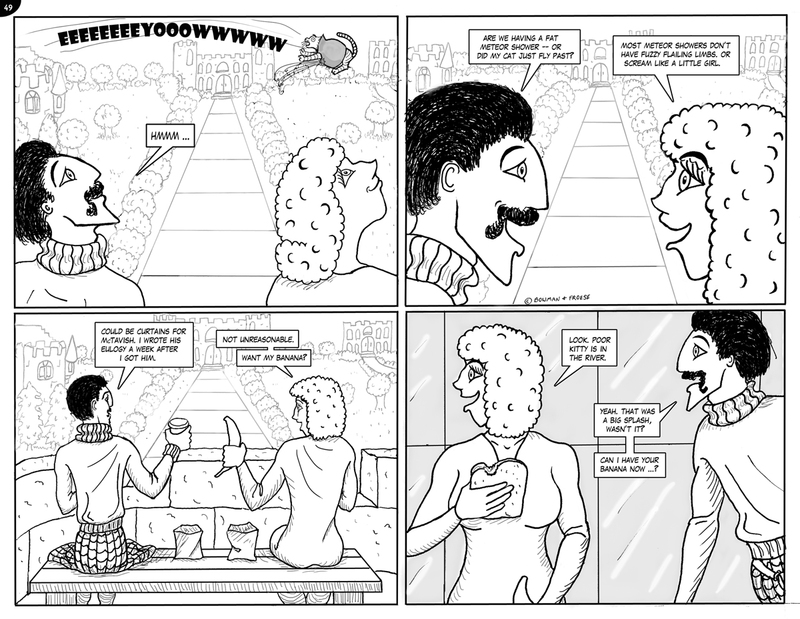 See all the Clan Munro strips in two convenient locations: Part One and Part Two.